Forest across all ape ranges, a land area totaling 453,000 square kilometers, decreased by more than 10 percent between 2001 and 2014. 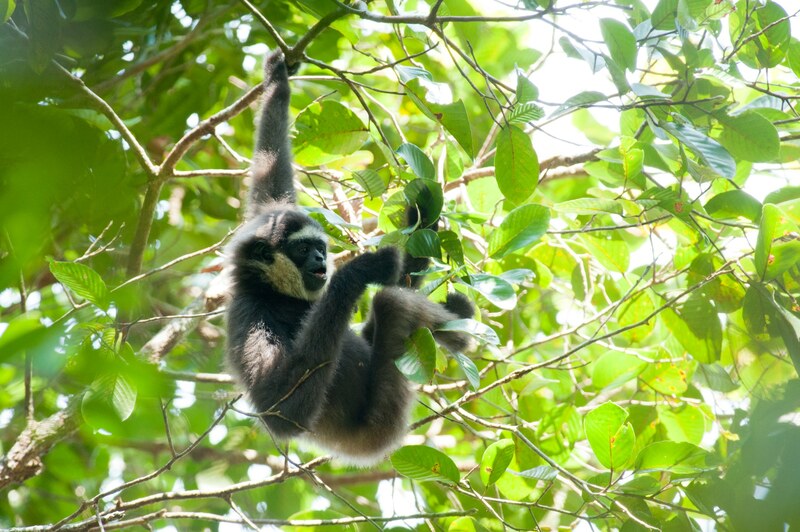 Gibbons and orangutans lost the most habitat, though deforestation had already decimated the habitat of the most restricted-range species—gibbons in mainland Asia and gorillas in Central Africa—even before 2000. Important insights into the trajectory of forest loss across Africa and Asia are also presented, and these findings can better inform protection efforts. The potential afforded by Global Forest Watch to monitor change in ape habitat in near real time has powerful implications for range states, including the ability to conduct regular national assessments of ape habitats and detection of forest loss at relevant spatial and temporal scales, which can improve management and reduce further destruction. Additional emerging applications of this new tool hold promise for further improvements of ape protection, such as more rapid responses to illegal clearing of forest.